Ladies and gentlemen! We present a mascot – no... there is more of them! What are they doing here? They are having such a good time that they don’t see us. But don’t worry – we will not disturb them. 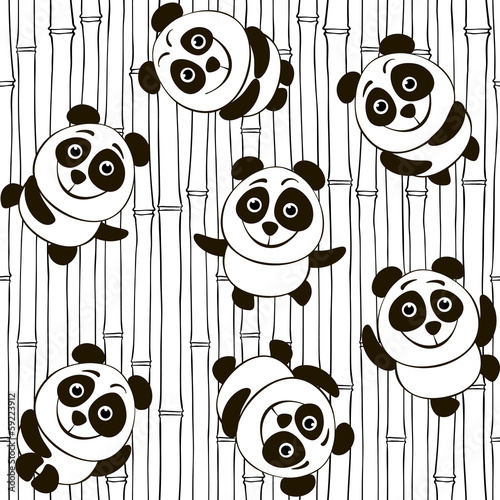 A photo wallpaper with small pandas will be a pleasant addition to your child’s room. He or she will learn how to play anew.